The Gray Center for Social Learning and Understanding believes that helping people with autism starts with recognizing that social interaction is a two-way street. Laurel Falvo, the Executive Director of The Gray Center, talks to LoveToKnow about the center's unique focus on social interaction, and she shares how she developed the Social Response Pyramid learning tool. The Gray Center for Social Learning and Understanding is non-profit organization based in Zeeland, Michigan that works to improve social interaction between people with autism spectrum disorders and the community. The center offers programs that provide both group activities and personal one-to-one interaction. The large library provides a helpful resource of publications. Staff members provide consultation, coaching and training to aid social learning for both individuals and organizations. Husband and wife Brian and Carol Gray founded The Gray Center in 1998. The Gray Center is the only autism organization in the world to offer official approved Social Stories training, developed by Carol Gray. 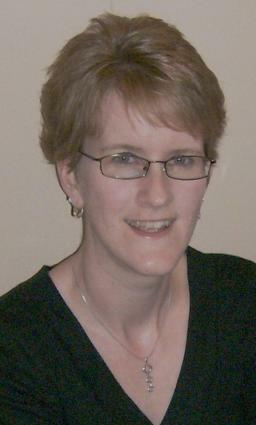 Laurel Falvo, a Certified Family Life Educator, is the Executive Director of The Gray Center. She is in charge of the center's project development, fundraising, publicity and staffing. She also provides social coaching services and Social Stories™ training. Laurel has been a part of the production of every center publication, edits the Social Stories™ Quarterly and maintains the organization's website. She is also the author of The Good Food Cookbook for Gluten-Free and Casein-Free Diets. A lifelong educator, Laurel is a former first grade teacher. She is associated with Michigan educational programs, such as Early On Kent County. Her educational background and work with The Gray Center led her to develop the Social Response Pyramid, a popular social interaction learning tool. Laurel Falvo talks about the importance of social learning and how The Gray Center helps people with autism and the community. LoveToKnow (LTK): What role does social learning and understanding play in helping people with autism? Laurel Falvo (Falvo): Although much has been learned about autism spectrum disorders (ASD) over the years, many people find that social interactions are complicated and sometimes difficult when ASD is a factor. The Gray Center believes that mutual understanding is the key to successful interactions. The more information and support we can provide for people (about autism, about social interactions and how they work, about themselves and the strengths and challenges that they bring to the interaction, and how to use strategies to increase their effectiveness), the more likely they are to be successful in interacting with one another. LTK: The Gray Center website states that "The Gray Center has a unique focus," and "believes that social is a two-way street." Please explain this idea and approach. Falvo: It is impossible to be social when a person is alone; the definition of "social" requires an interaction between two or more people. Yet all too often the emphasis is put on people with autism spectrum disorders (ASD) as those with a "social disability" (focusing on their challenges rather than their strengths), and strategies are devised to help that person improve his or her social skills. With our emphasis on building and sustaining effective connections with others in all areas of life, The Gray Center uses strategies which impact both sides of a social interaction so that each person can experience and enjoy success. LTK: Could you describe the Social Response Pyramid that you developed? 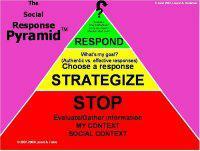 Falvo: The Social Response Pyramid™ is an instructional tool that I've developed over the last several years. It is a visual strategy that can be used to help people interact more effectively with others by understanding the contexts of each person in the interaction, the strategies that they have available to them (either innate or other strategies), and the potential effects of various responses (as well as how to repair an ineffective interaction). The Pyramid can be used to illustrate and understand various developmental strategies such as sensory integration, executive functioning, Gestalt processing, generalization, and theory of mind. It also helps to make sense of other teaching tools by highlighting the strengths and challenges of an individual and the gaps that need to be filled in order to experience success. The Social Response Pyramid is being used in several countries in homes, therapy offices, and classrooms to promote effective interactions-and often does a great job of helping people to calmly work toward successful strategies in situations where emotions and interactions might have otherwise gotten out of control. LTK: How would you describe The Gray Center's approach to teaching social skills and promoting social understanding? Falvo: There is no "one-size-fits-all" strategy that will help everyone experience success. Because each person is a unique individual, tools need to be adapted to fit unique abilities and needs. The key is to be armed with flexibility, a good sense of humor, a desire to learn and to be more effective, an understanding of the strengths and challenges that we bring to the interaction, and a deep respect for the people with whom we are interacting. Our model is one that increases success for everyone in a social interaction. Our work is beneficial not only to individuals with ASD, but also to their care givers, peers, and the general population. LTK: What types of programs and services does The Gray Center offer? Falvo: The Gray Center has a bookstore (both online and at our office in Zeeland, MI) with valuable resources about autism, social understanding, and related topics. At our office we also have a lending library. In West Michigan we provide a variety of Growth Groups designed to help people grow personally and interpersonally through regular opportunities to learn and to connect with each other and with our community. Our Community Network helps to connect other businesses and organizations with each other and with the people in our area who need their services. And our coaching and consulting services provide one-on-one assistance for those who need more personalized help, either once or on an on-going basis. We also have presentations and trainings available for parents, teachers, teens, and other interested people. LTK: What are the coaching and consulting services offered by The Gray Center? Falvo: People around the world access our coaching and consulting services (in person, and via phone, Skype, and email) to receive individualized assistance for the issues that are relevant to their unique situation. Many work to develop "personal success plans" where they identify their goals and dreams, and determine an action plan ("next steps" for reaching their goals). Parents receive help with understanding autism and their child, along with practical strategies for setting and maintaining healthy boundaries at home and with their child's school, and working through difficult behavioral issues. Children, teens, and young adults receive assistance in identifying their strengths and challenges, understanding the social world, increasing their independent living skills, and taking the steps necessary for achieving personal success. Grandparents have used the service to relate more effectively with their children and grandchildren. Social Workers and attorneys have utilized our services for understanding their clients with ASD. And teachers and other educational staff have received answers to their questions, along with practical strategies they can use in the classroom to increase success for all of their students. LTK: What areas does The Gray Center serve? Does the organization mainly work with people in the greater Grand Rapids and Zeeland areas? Falvo: Through our web site and traveling trainers, we provide services to people around the world in the form of information, book sales, consulting and coaching, and presentations. Locally in West Michigan, our Growth Groups for teens and adults, kids, parents, writers, and siblings provide hands-on assistance for people desiring to grow personally and interpersonally, to access valuable information and to network with others. LTK: Is The Gray Center the only organization to offer the official Social Stories method? Falvo: The Gray Center is currently the official home of Carol Gray and Social Stories™. Approved trainings developed by Carol Gray are offered through the resources carried by The Gray Center, as well as Team Social Stories™ members, hand-selected and trained by Carol Gray, using content developed by Carol Gray. LTK: How can you help a family whose child was recently diagnosed with autism? Falvo: We can provide basic information about autism and available resources, as well as information and strategies specific to an individual. We can help parents develop healthy boundaries at home and in working with their child's school or employer, and provide a listening ear and much-needed hope and encouragement. LTK: Do you have any tips for how parents, teachers and the general public can help promote autism social understanding? Falvo: The key is to understand that each person with autism is so much more than a diagnosis! Each is a unique individual with hopes, dreams, strengths, and interests, along with certain challenges and fears. Getting to know each person for who he or she is, and approaching him or her with a desire to connect successfully, can help generate the flexibility, compassion, understanding, and consistency needed for effective interactions. We welcome the opportunity to have more people connect with the Gray Center so that we can continue to "demystify" the diagnosis and equip people with strategies for social success! One way to do that is to sign up for The SUN News, a free weekly email article by Laurel Falvo, and forward that to your friends and family You can also encourage your school to access our consulting and training services, conduct a fundraiser or make a donation to provide valuable financial support, and send people to our web site for more information! To learn more about The Gray Center and Laurel Falvo, visit the The Gray Center's official website. LoveToKnow thanks Laurel Falvo for the interview.